Ini senarai muzik latar yang digunakan dalam filem dokumentari 'Sepuluh Tahun Sebelum Merdeka' mengikut turutan. 4. A. Simanjuntak – Bangun Pemudi Pemuda / ? 16. Somasi Group – Darah Juang / ? Tayangan 'Sepuluh Tahun Sebelum Merdeka' di Johor Bahru! Aku telah hadiri satu sesi tayangan dan diskusi filem 'Sepuluh Tahun Sebelum Merdeka' untuk pelajar Department of Perfomance+Media di Rooftop Theatre, Sunway University College tengahari tadi. Terima kasih kepada Puay Tin kerana menjemput aku. Terima kasih kepada semua pelajar yang datang dan telah memberi komen dan kritikan yang bernas masa diskusi tadi. Tayangan semula 'Sepuluh Tahun Sebelum Merdeka' di KL hari ini! 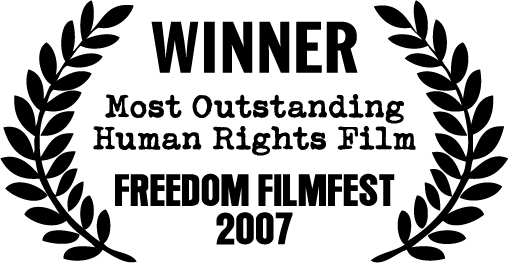 Jangan lepaskan peluang kedua untuk menonton filem dokumentari yang telah dinobatkan sebagai "Most Outstanding Human Rights Film" pada Freedom Filmfest 2007! Aku nak ucapkan terima kasih kepada semua warga Pulau Pinang yang telah datang memenuhi ruang Actors Studio Greenhall untuk menonton filem 'Sepuluh Tahun Sebelum Merdeka' hari Jumaat lalu. Aku amat terharu kerana Lim Kean Chye dan juga isteri telah meluangkan masa untuk hadir menonton dan juga berkongsi satu anekdot tentang peranan besar yang dimainkan oleh Tan Cheng Lock semasa diskusi selepas tayangan pada malam itu. Terima kasih juga buat Dr. Cheah Boon Kheng, mantan profesor sejarah di Universiti Sains Malaysia (USM), Penang, yang telah turut sama hadir untuk sesi diskusi tersebut. Syarifah Hadli, seorang mahasiswi USM telah menulis sebuah artikel berkenaan filem 'Sepuluh Tahun Sebelum Merdeka' dalam laman blog pelajar Pusat Pengajian Komunikasi USM, Komunikasi Kampus! Kalau kamu ada menulis artikel/review dalam blog kamu, sila letakkan link atau tulis lah pendapat kamu di sini. Anil Netto, Deputy Editor Aliran Monthly telah menulis sebuah artikel berkenaan filem 'Sepuluh Tahun Sebelum Merdeka'. Fahmi Fadzil dari bolehland.com telah menulis sebuah artikel berkenaan filem 'Sepuluh Tahun Sebelum Merdeka'. Apakah bentuk rupa persidangan dan tindakan sayap kiri Melayu untuk membantah Federation? Banyak orang bertanya soal ini. Sayap kiri barisan yang menentang Federation tidak akan diam. Umpamanya, Perlembagaan Rakyat yang dirangkaikan oleh PUTERA dan Majlis Bergerak Serentak sudah pun sempurna disusun dan dibentukkan kepada rakyat jelata melalui suratkhabar-suratkhabar di sini. Demikianlah bunyi kenyataan Parti Kebangsaan Melayu cabang Singapura yang kita terima semalam. “Ingat Federation haram bagi kita dan saudara tidak akan lupakan tarikh 25 haribulan September hari Ahad pukul 10 pagi di Farrer Park nanti” — Parti Kebangsaan Melayu, cabang Singapura. Tayangan 'Sepuluh Tahun Sebelum Merdeka' di Pulau Pinang! Layari Freedom Filmfest 2007 untuk maklumat lanjut. Klik sini untuk baca apa orang KL kata pasal filem ni. Mai gi nonton! Jumpa hang di sana! Promo Freedom Filmfest 2007 dan Award Ceremony FFF07 pada 16 Sept lalu, dalam program 'The Breakfast Show' di NTV7 pada 19 Sept 2007. "Aku nak tujukan kemenangan ini buat semua tokoh2 dalam badan politik kiri yang telah turut sama menyumbang dalam sejarah perjuangan kemerdekaan negara kita. Pejuang-pejuang dalam Parti Kebangsaan Melayu Malaya, Malayan Democratic Union, Angkatan Wanita Sedar, Angkatan Pemuda Insaf, Pan-Malayan Federation of Trade Unions, Pusat Tenaga Rakyat, All-Malaya Council of Joint Action... i salute you sebagai pejuang kemerdekaan." Malangnya NTV7 tak masukkan kata-kata aku ini dalam video di atas. Hanya keluar muka aku berucap tapi tak dengar suara. Zedeck Siew dari kakiseni.com telah menulis sebuah artikel berkenaan filem 'Sepuluh Tahun Sebelum Merdeka'. Tayangan semula 'Sepuluh Tahun Sebelum Merdeka' di KL! 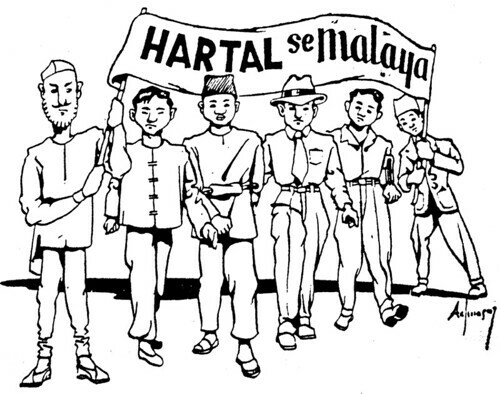 IN 1947, Malaya and Singapore witnessed the first political action that united all the races - the hartal. R. ZEENEESHRI speaks to a new filmmaker who revisits this turbulent era. The years before Merdeka, a postwar era of struggle in identity, may be foggy in the minds of most of us. "What we know comes from history books, with no form of understanding, just memorising facts," says Fahmi Reza, 30. "It's not just about that single moment when Tunku Abdul Rahman shouted 'Merdeka' seven times. It's not about that gist of hope that some admired from a distance, no matter how ideal and historical that moment was." The fight for independence was a most complicated process, clashing different elements or ideas that led to the creation of a modern nation. Many tales have slipped under the radar, especially one such as the hartal. First used by MK Gandhi during the Indian Independence Movement, the hartal is a mass protest often involving a total shutdown of workplaces, offices and shops. It is a mode of appealing to the sympathies of a government to change an unpopular or unacceptable decision. Some call it a period of dissolution, when the British paid no attention to what was clearly a cry from the people. 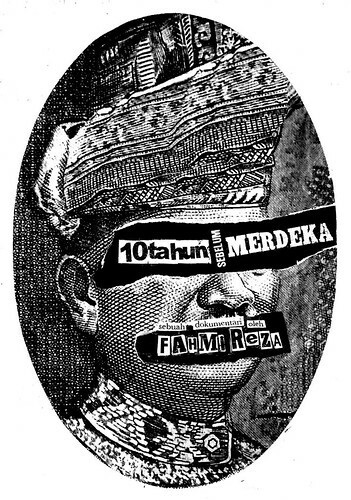 Self-taught non-commercial freelance graphic designer Fahmi is documenting these unforgotten tales, people and visions. A winner of the Freedom FilmFest 07 (as part of its 50th Merdeka: The Untold Human Rights Story theme), Fahmi received a RM5,000 grant to make the film. His 35-minute visual compiles events that led to the hartal, mainly the realization of an independent Malaya and the publication of a People’s Constitution drafted by Putera-AMJCA (Pusat Tenaga Rakyat-All Malayan Council of Joint Action), an alternative constitution to challenge the Federation Constitution. “I’ve always had an interest in History, but not during school days. I got interested in memoirs and somehow stumbled into works by left wing member,” says Fahmi, readjusting his widely brimmed spectacle frames. “Their struggle and how they were ignored and some even arrested excited me and since then, I had always wanted to produce a documentary based on them." He did research and travelled to talk to octogenarians about events that existed then. Most of the grant money went to transportation, food and accommodation. "But it was all worth it, as not much attention was paid to the late 1940s. These exciting years laid the groundwork for our independence." Running his fingers through his shoulder length almost-straight hair, Fahmi says it was a time when people also realized that they could do good even without the British. “They were in a comfort-zone before the war. They knew less than to go against the British even in their own land. It became a British-dependant way of life. “That was until the Japanese took over and they realized that they did good even without the British. Some began to think beyond, towards neighboring country, Indonesia, where President Sukarno fought and won independence for the country. Putera-AMJCA was formed, an alliance of Malay nationalist groups, front parties of the Communist Party of Malaya (CPM), trade unions and even the fledgling MIC and future MCA leader Tun Tan Cheng Lock. Fahmi says it pushed for equal citizenship rights for all who considered Malaya their permanent home, regardless of race or place of birth. Another example of progressive thinking for those times was the provision for a Council of Races comprising two representatives of every race, including minorities, to ensure laws did not discriminate. Given that 60 years have passed since all these events, a vast majority of the people involved have died. Still, Fahmi managed to interview a number of veterans from organisations that belonged to the Putera-AMJCA coalition. He tapped the memories of significant people like Lim Kean Chye, founder member of the Malayan Democratic Union; Hashim Said, head of an Angkatan Pemuda Insaf (API) division; Majid Salleh, a labour leader who led the Johor State Federation of Trade Unions and who was also a member of Partai Kebangsaan Melayu Malaya (PKMM); and Zainuddin Andika and Yahya Nassim, both also PKMM members. Lim and Yahya, are both 88 years of age while the others are not much younger – all eager to tell their side of the story, having waited decades. Fahmi supplemented his interviews with documents from the National Archives and looked up newspapers of the time, like the Straits Echo, Malay Tribune, Utusan and Straits Times. “I got my friends to help me out on a voluntary basis for the scenes that I shot, especially in handling the camera while interview. Ironically, the very efficiency of the general strike of 1947 signalled the beginning of the end of this exciting period in Malayan history. “It was the beginning of a more revolutionary and activist way of life. A life filled with freedom, but sad to say, it was short-lived. “Just when things started to get juicy, the British slammed them, like a fly caught between a clap. Fahmi realises that revisiting the past can often re-open old wounds. "But there is nothing controversial about this documentary. It is the truth. All this information is out there, in texts, in memoirs. The only reason I made it on film was because we now live in a visual-generation." THE years before Merdeka, a post-war era of struggle in identity, may be foggy in the minds of most of us. "What we know comes from history books, with no form of understanding, just memorising facts," says Fahmi Reza, 30. Hartal is a mass protest that involved a total shutdown of workplaces, offices and shops. It is a mode of appealing to the sympathies of a government to change an unpopular or unacceptable decision. Some call it a period of dissolution, when the British paid no attention to what was clearly a cry from the people. Fahmi is documenting these unforgotten tales, people and visions. A winner of the Freedom FilmFest 07 (as part of its 50th Merdeka: The Untold Human Rights Story theme), Fahmi received a RM5,000 grant to make the film. 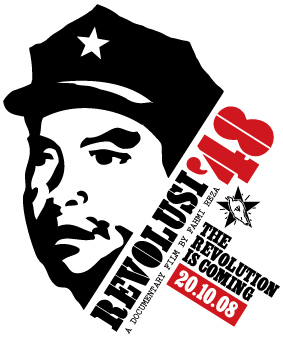 His 35-minute visual compiles events leading to the hartal, mainly the realisation of an independent Malaya and the publication of a People's Constitution drafted by Putera-AMJCA (Pusat Tenaga Rakyat-All Malayan Council of Joint Action), an alternative constitution to challenge the Federation Constitution. "I became interested in memoirs and stumbled on works by a left-wing member. Their struggle excited me. When I heard of the festival, I put in my proposal and won. I bought a camera and laptop and taught myself to make a film," he says. He did research and travelled to talk to octogenarians about events that existed then. Most of the grant money went to transportation, food and accommodation. "But it was all worth it, as not much attention was paid to the late 1940s. These exciting years laid the groundwork for our independence." "After the Japanese Occupation, the people began to think beyond, looking at Indonesia, where President Sukarno fought for and won independence. They began to think of freedom, a right to own one's land. And that's when the political front began to grow." Putera-AMJCA was formed, an alliance of Malay nationalist groups, front parties of the Communist Party of Malaya, trade unions, the fledgling MIC and future MCA leader Tun Tan Cheng Lock. "Looking back at the proposed constitution for a secular, multi-racial nation, I'm surprised at how progressive the thinking was then." Fahmi says it pushed for equal citizenship rights for all who considered Malaya their home, regardless of race or place of birth. Another example of progressive thinking then was the provision for a Council of Races comprising two representatives of every race, including minorities, to ensure laws did not discriminate. 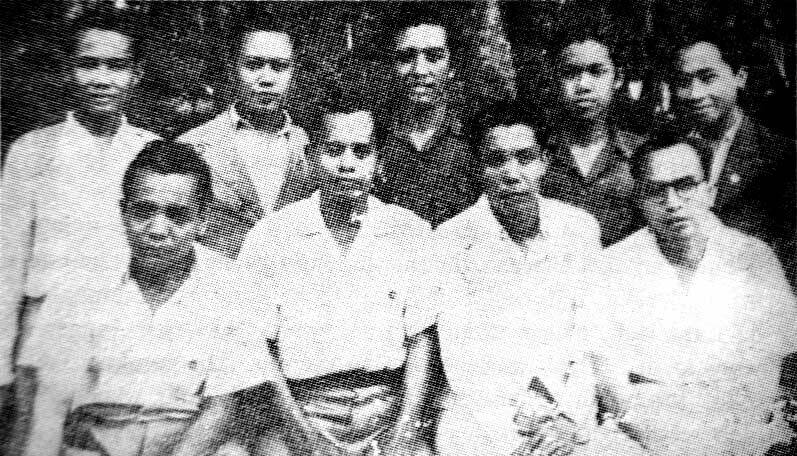 Given that 60 years have passed and most of those involved have died, Fahmi managed to interview a number of veterans of the Putera-AMJCA coalition. He tapped the memories of Lim Kean Chye, founder member of the Malayan Democratic Union, Hashim Said, division head of Angkatan Pemuda Insaf (API), Majid Salleh, a labour leader and member of Partai Kebangsaan Melayu Malaya (PKMM) and Zainuddin Andika and Yahya Nassim, both PKMM members. Lim and Yahya are both 88 while the others are not much younger. "It was hard to find them, to talk to them and gain their trust. Many don't like to talk about that time because it brings up unhappy memories and dashed hopes. And while it's true that after many years, people are vague about details, I felt it was very important that we talked to people who were actually there." Sumber: New Sunday Times, 16 Sept 2007, Sunday People. 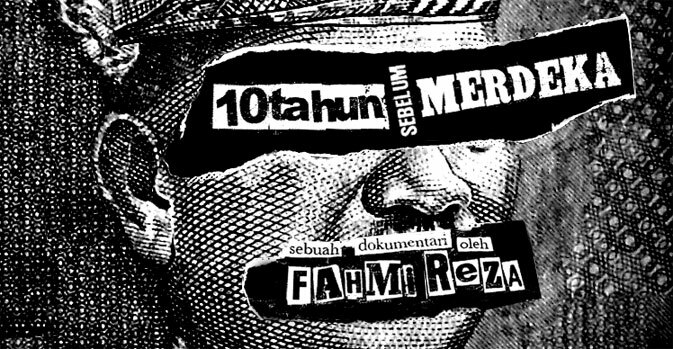 'Sepuluh Tahun Sebelum Merdeka' telah dianugerahkan "Most Outstanding Human Rights Film" (Filem Hak Asasi Paling Menyerlah) di Freedom Filmfest 2007, malam tadi. Berikut merupakan kenyataan rasmi dari hakim-hakim Freedom Filmfest. The relevance of this film to Malaysia's current social and political context cannot be stressed enough. Using as its starting point a most intriguing strategy of civil disobedience – the hartal – this film takes on issues of political participation, colonialism, freedom of association, assembly and expression, and even manages to ask razor-sharp questions about the function of a Constitution, all without skipping a beat. To have these issues explored right in the middle of a very interesting point in Malaysia's development - the state-led euphoria of 50 years of Merdeka and threats to the supremacy of the Constitution are two things that spring to mind – is courageous. To have these issues researched so thoroughly and presented so convincingly is an admirable exercise in intellectual integrity. And to have everything presented so confidently and engagingly, with such dramatic intensity, hails a most welcome development in Malaysian filmmaking. From the 'God Save the Queen' opening, this film is a fast-paced, absorbing documentary with very strong and creative production values - including strong editing, clever graphics, terrific music soundtrack, and effective use of archive footage and photographs -and compelling characters who bring the past alive. The judges especially like the deliberate absence of an external narrator, and the film was very well researched. Fahmi's film will appeal to its target young audience, as well as Malaysians old enough to remember these events. Amacam? Best ke tak filem ni? Bagi yang dah tonton tayangan perdana di KL tadi, tulis lah pendapat kamu di sini. Orang lain nak tau jugak. Temubual dalam program 'The Breakfast Show' di NTV7 pada 14 Sept 2007. "At this time of the political awakening of the peoples of Malaya, we teachers have a very important and responsible part to play in shaping of the minds of the future citizens of a self-governing Malaya. We cannot play this role successfully under the present terms of service unless we organise ourselves and unite to work together in a unified education service." Untuk maklumat lanjut berkenaan perjuangan kesatuan guru-guru sebelum merdeka, sila rujuk buku Kua Busan "Teachers Against Colonialism in Post-War Singapore and Malaya", INSAN 2007. Promo percuma dalam program 'The 8tv Quickie' pada 12 Sept 2007. Daripada temubual 10 minit dengan aku, dia hanya letak 3 ayat sebagai soundbyte. Tapi sekurang2nya banyak juga footage dari '10tahun' yang dia tunjuk. Nak sampaikan pada remaja, terpaksalah guna ruang media yang lebih dekat dengan remaja, walaupun dapat beberapa saat saja airtime. Terperanjat juga aku bila lihat wajah tokoh Revolusi Indonesia, Tan Malaka keluar dalam TV perdana! Pagi esok 14 Sept 2007 aku akan keudara dalam program 'The Breakfast Show' di NTV7, secara langsung jam 9 pagi untuk bercakap tentang '10tahun' dan Freedom Filmfest 2007 bersama 2 pemenang lain, Mr. Ong dengan filemnya 'Forgotten' dan Indrani dengan filemnya 'She's My Son'. 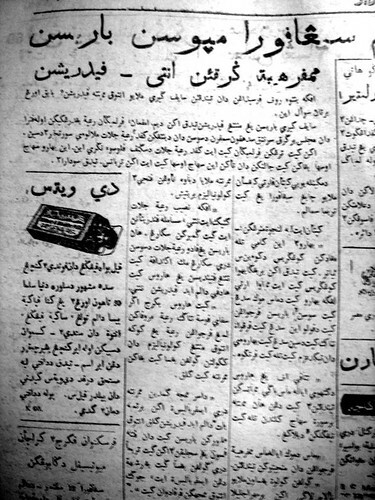 Hari ini dalam tahun 1947, PUTERA-AMCJA telah mengeluarkan Perlembagaan Rakyat kepada akhbar untuk dihebahkan kepada rakyat. Dokumen 60 mukasurat ini telah mengambil masa empat bulan untuk dibentuk, mengambil kira pendapat dan pandangan rakyat pelbagai kaum yang bersatu di dalam badan-badan yang bergabung di bawah PUTERA-AMCJA. Selepas beberapa siri perbincangan dan konsultasi, Billy Kuok dan John Eber dari Malayan Democratic Union (MDU) telah mengetuai satu jawatankuasa khas yang dipertanggungjawabkan untuk menulis draf Perlembagaan tersebut. Kemudian beberapa siri persidangan telah dibuat untuk mengutip pandangan segenap lapisan masyarakat sebelum Perlembagaan Rakyat diluluskan sepenuhnya pada 10 Ogos 1947. Kalau menyebutlah kita “Angkatan Wanita Sedar” sekarang ini, maka berertilah kita mengingati kembali kepada sebahagian wanita dikalangan rakyat jelata di Tanah Melayu, yang pernah membentuk satu badan pergerakannya yang berdasarkan kepada cita-cita kewanitaan dan kerakyatan. Atau untuk lebih tegas lagi, biarlah saya sebutkan berdasar kepada kewanitaan dan kerakyat-jelataan. Namanya sederhana, ahli-ahlinya juga terdiri dari wanita-wanita yang cukup sederhana. Iaitu wanita-wanita yang mempunyai keinginan untuk mencapai tempat alam, sebagaimana yang dikecapi oleh wanita-wanita yang megah bangsawan. Niat mereka membentuk badan pergerakannya itu, bukanlah pula kerana akan bercerai hubung dengan wanita-wanita atau puan-puan bangsawan yang telah bertuah dapat berdendang menikmati kemakmuran yang dilimpah mewahkan Tuhan. Malah tujuan terbesarnya ialah untuk mencari jalan bagaimana supaya keadaan kejelataan mereka itu dapat dibela oleh mereka sendiri. Semoga dengan demikian akan sama-sama juga dapat mereka melayakkan diri untuk membantu perjuangan bangsa, kepentingan rakyat dan negeri. Kerana sederhananya keadaan mereka, kerana terlalu mundurnya alam pengetahuan di dada, pun kerana kekurangan dalam serba serbinya, maka alangkah sederhananya pula pertubuhan yang mereka bentuk dengan kesedaran tenaga daya yang sedia-sedianya sahaja. Untuk bersendirian dalam segala gerak-gerinya, sudah tentu tak mungkin. Maka bersyukurlah wanita-wanita sederhana itu, kerana ada sebuah badan politik rakyat yang mahu memimpin dan menaungi mereka, sehingga rela parti itu menjadikan Angkatan Wanita Sedar tersebut sebagai satu cabang wanita partinya. Parti itu bukanlah lain dari Parti Kebangsaan Melayu Malaya, yang telah terpaksa dibubarkan pada tahun 1950. Terbubarnya PKMM itu, bererti terbubar pulalah AWASnya, maka terpaksalah ahli-ahli wanita pertubuhan tersebut mencari jalan lain untuk mengatur atau untuk memupuk kesedaran yang telah dijiwai mereka selama berada di dalam AWAS dahulu. Oleh kerana itu tidaklah hairan kalau kini kedapatan banyak bekas-bekas ahli AWAS yang memasuki pertubuhan itu dan ini, kerana memang itulah yang digalakkan oleh PKMM kepada warga-warganya sebelum ia terpaksa dibubarkan kira-kira tujuh tahun yang lampau. Pada tanggal 31 Ogos ini muncullah Tanah Melayu menjadi sebuah negara yang Merdeka. Sebagai seorang wanita, gembiralah saya, atau menumpang gembiralah saya, kerana ada juga nampaknya wanita-wanita terkemuka dari bangsa kita, yang sama-sama mengambil peranan mengekori pemimpin-pemimpin memperjuangkan kemerdekaan itu. Walaupun wanita-wanita itu bukan dari kalangan rakyat jelata (agaknya), tetapi penuhlah harapan kita, supaya wanita-wanita terkemuka itu akan penuh dengan jiwa dan perasaan ingin membela wanita-wanita rakyat jelata, yang tentunya terlalu ingin diperbaiki nasibnya, untuk perhatian wanita-wanita terkemuka bangsa kita itu, maka ada baiknya disamping mangalu-alukan kemerdekaan tanggal 31 Ogos ini, saya memalingkan ingatan mereka sejenak kepada pertubuhan Wanita Sedar, yang pertubuhannya pada waktu ini sudah tidak didengar lagi. Alangkah sederhananya nama pertubuhan itu! Bayangkanlah bagaimana keadaan-keadaan yang mungkin pada kira-kira sepuluh tahun yang lampau. Akan tidak dapatlah saya lupakan bagaimana hebatnya segolongan bangsa kita memomokkan pekikkan Merdeka pada waktu itu. Alangkah mahalnya tenaga segelintir pemimpin-pemimpin yang telah berjaya menggembling jiwa rakyat untuk sedar dan bangun membentuk sesuatu masyarakat yang bebas dan sihat. Tidak pula dapat dirinya saya sendiri khasnya, dan AWAS amnya, melupakan betapa hebatnya suasana yang mungkin dan menghalang pertubuhan Angkatan Wanita Sedar pada kira-kira sepuluh tahun yang lampau. Aduh.....! dari teratak kampung yang penuh dengan debu dan lumpur, dari masyarakat tani di desa-desa yang serba kekurangan, dapat juga diasuh beberapa orang wanita rakyat untuk sedar, dan hasilnya tertubuhlah pertubuhan Angkatan Wanita Sedar pada tahun 1946 dengan membawa suasana rancangan pergerakannya yang tertentu dan bermutu, tidaklah panjang umur Angkatan Wanita Sedar itu. Namun demikian pun, dibandingkan dengan kerakyat-jelataannya, banyak juga usaha-usaha luar biasa yang yelah dilakukannya. Kalau saya sebut luar biasa di sini, maka itu adalah luar biasa mengikut pengertian wanita jelata. 1. Menyedari dan menyusun satu barisan wanita Tanah Melayu yang sefaham untuk membantu mencapai kemerdekaan bangsa dan tanahair. 2. Menyatu-padukan kaum ibu Tanah melayu supaya mengerti akan kewajipan terhadap bangsa dan nusa. 3. Memperbaiki taraf-taraf kaum ibu Melayu Tanah Melayu, hingga dapat menyamai taraf kaum ibu bangsa asing yang ada di dunia ini. 4. Memperbanyakkan taraf-taraf pelajaran, pergaulan dan membanteras buta huruf di kalangan kaum ibu Malaya. 5. Merapatkan tali persahabatan di antara wanita-wanita Melayu khasnya dan wanita-wanita bangsa asing umumnya, dan lain-lain lagi. Maka dengan tujuan-tujuan tersebut di atas, AWAS bergerak, tetapi kerana pada waktu ini kesedaran pergerakan dalam kalangan wanita Melayu belum begitu tebal dan meluas, maka AWAS sebenarnya telah mendapat banyak tentangan dan dicap wanita pelampau, yang sebenarnya adalah wanita kesatria. AWAS sebenarnya ingin membentuk satu masyarakat wanita Melayu yang kuat perpaduannya dan tidak kurang maju dari wanita-wanita bangsa asing. Dengan segala kesederhanaannya tetapi dengan semangat bekerja yang berkobar-kobar terus juga ia bergerak sedikit demi sedikit dan dengan jiwa dan semangat yang keraslah maka AWAS telah berhasil membentuk cabang-cabangnya di seluruh Tanah Melayu dan Singapura. Banyak orang salah mengerti tentang gerakan AWAS ini. Maka hari ini, salah pengertian tentang AWAS ini didapati diganti dengan rasa penghargaan. Tetapi hari ini, jika kita tinjau dari segi sejarah perkembangan kemajuan berorganisasi dalam kalangan wanita Melayu, maka salah pengertian tentang AWAS itu dapatlah diganti dengan rasa penghargaan. Rasa penghargaan bahawa wanita Melayu dengan segala kekurangan dan tenaga dari dalam dan luar masyarakat, telah membuktikan bahawa wanita Melayu itu adalah wanita kesatria yang tidak mahu ketinggalan di samping pejuang-pejuang lelaki walaupun perjuangan itu akan meminta pengorbanan jiwa raganya. Bahawa gerakan AWAS mencerminkan jiwa dan semangat perjuangan wanita Melayu sepuluh tahun yang lalu, adalah suatu hal yang akan tetap menjadi ciptaan semangat perjuangan wanita di masa datang. AWAS tidak berpaling dari tujuan-tujuannya. Dalam beberapa waktu setelah AWAS terbentuk maka usaha-usaha ke arah pembanterasan buta huruf dalam kalangan wanita Melayu telah dijalankan dan telah membawa hasil yang baik. Dengan segala kekurangan mata benda, wang, tenaga dan keperluan lainnya, AWAS terus terus juga bergerak ke arah tujuannya. Maka pada bulan Oktober 1947 terjadilah Kongres Angkatan Wanita Sedar, iaitu kongres pertama wanita Melayu yang bertempat di Kajang. Kongres ini adalah kongres yang amat bersejarah dalam perjuangan wanita sedar Melayu. Walaupun waktu itu perhatian dari sebahagian besar wanita Melayu masih ringan terhadap kongres itu tetapi sambutan para perwakilan dan pemerhati-pemerhati dari seluruh Tanah Melayu sungguh mengharukan. Suasana dalam kongres itu sungguh sangat sederhana. Kesederhanaan mana bagi wanita jelata tidaklah asing lagi. Selama tiga hari kongres itu berjalan dengan penuh bersemangat dan wakil-wakil serta pemerhati-pemerhati memajukan kesungguhan hatinya untuk mengabdi pada tanahair. Perancangan-perancangan dalam kongres itu antara lain adalah mengenai penyiasatan keadaan dan kedudukan wanita Melayu seluruhnya di Tanah Melayu dan Singapura; penggabungan dari semua perkumpulan-perkumpulan wanita Melayu yang akan merupakan suatu barisan wanita Melayu dan usaha-usaha memajukan wanita Melayu. Kalau kita membaca sejarah perjuangan Indonesia, maka terdapatlah pula bahawa di sana pada tahun 1928 terjadilah kongres pergerakan wanita Indonesia yang pertama. Kongres itu kemudian dinamai Perikatan Perempuan Indonesia (PPI). 2. Berusaha memajukan perempuan Indonesia. Demikianlah setelah 19 tahun terkebelakang dari wanita-wanita maka pada tahun 1947 barulah terjadi kongres pertama wanita Melayu dari Angkatan Wanita Sedar, yang merupakan suatu lukisan sejarah yang tidak dapat dilupakan begitu saja. Terlihatlah oleh kita bahawa tujuan kongres pertama wanita Indonesia dan wanita Melayu, tidaklah banyak berbeza. Tujuan-tujuan itu menjadi titik permulaan perjuangan kaum wanita kepada tingkat perjuangan yang lebih luas lagi. Siapakah yang akan meneruskan perjuangan untuk memperbaiki dan mempertinggi darjat kaum wanita sendiri. Berapa macam ketidakadilan yang terdapat dilakukan ke atas kaum wanita, dan begitu jauhnya wanita kita ketinggalan dalam benyak lapangan. Semuanya ini adalah menjadi tenggungjawab kaum wanita. Akan tiba masa nanti bahawa kaum wanita harus dapat berdiri sendiri untuk menjalankan usaha-usaha perjuangan ke arah kemajuan kaum wanita. Juga akan sampai waktu nanti bahawa kaum wanita akan memilih jalan yang tersendiri menghadapi perjuangan ini dan tidak lagi bergantung pada kaum lelaki. Dalam sebuah perjuangan negara yang telah Merdeka, perjuangan kaum wanita akan bertambah luas lagi dan dengan keinsafan dan kemahuan bekerja, kaum wanita akan dapat memberikan sumbangan yang berguna untuk menyempurnakan pembangunan sebuah negara yang baru Merdeka itu. Perjuangan Angkatan Wanita Sedar yang telah patah atau dipatahkan oleh darurat, adalah perjuangan wanita Melayu. Jika sepuluh tahun yang lalu wanita Melayu cergas bergerak dan berusaha untuk kepentingan kaum wanita Melayu, sedangkan pada waktu itu tiap pergerakan nasional mendapat tentangan dan tekanan hebat dari pihak pemerintah, maka sudah tentu dalam bahasa negara yang telah Merdeka dan yang memerlukan tenaga tiap warga negara turut aktif dalam pembangunan masyarakat yang bebas dan sihat, wanita Melayu akan lebih giat bekerja menyusun pergerakannya dan akan berusaha berganda-ganda lebih dari apa yang telah pernah dikerjakan oleh pergerakan AWAS di zaman penjajahan sepuluh tahun yang silam. Mudah-mudahan dapat sepuluh tahun yang akan datang, kita akan sama-sama melihat kemajuan yang meluas dalam kalangan wanita Melayu, kemajuan mana sejak mula telah diimpi-impikan oleh AWAS. Pemutus akhir hina atau mulia. Bagi Perwira yang berhati tabah. 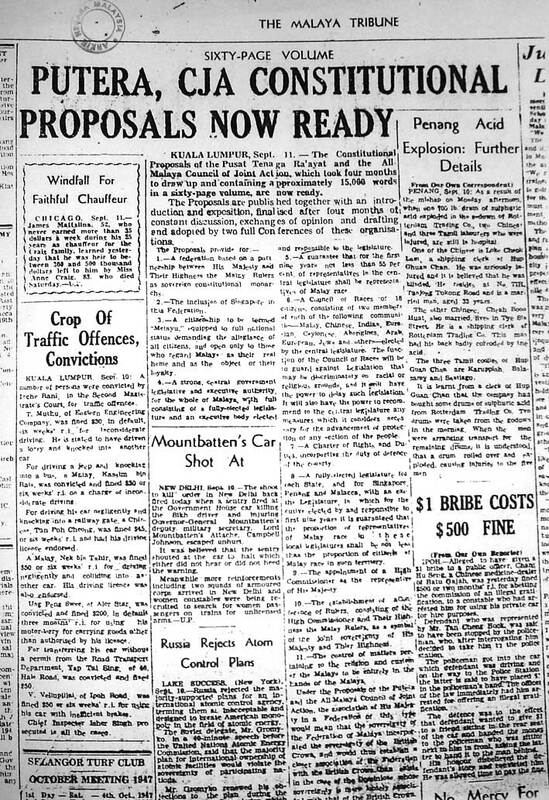 Pada 20 Oktober 1947, seluruh Malaya dan Singapura telah menyaksikan tindakan politik pertama yang melibatkan penyatuan rakyat pelbagai kaum — ‘Hartal’ seluruh Malaya. ‘Hartal’, satu mogok ekonomi menyeluruh yang digunakan secara berkesan dalam perjuangan kemerdekaan di India, telah digunakan buat pertama kali di Malaya oleh golongan politik kiri dalam PUTERA-AMCJA sebagai senjata melawan penjajahan British di Malaya. PUTERA-AMCJA merupakan sebuah barisan bersatu dua gabungan politik besar di Malaya; Pusat Tenaga Ra’ayat (PUTERA) dan All-Malaya Council of Joint Action (AMCJA). AMCJA ialah sebuah persekutuan parti-parti politik, kesatuan-kesatuan buruh, pesatuan-persatuan wanita dan organisasi-organisasi pemuda yang ditubuhkan pada 22 Disember 1946. AMCJA dianggotai oleh Malayan Democratic Union (MDU), Malayan Indian Congress (MIC), Pan-Malayan Federation of Trade Unions (PMFTU), 12 State Women’s Federation in Malaya, Malayan New Democratic Youth League (MNDYL), The Malayan People’s Anti-Japanese Ex-Service Comrades’ Association, serta badan-badan lain. Walaupun didominasi oleh badan-badan politik kiri, AMCJA telah dipengerusikan oleh seorang kapitalis Peranakan Melaka yang terkenal, Tan Cheng Lock. PUTERA pula merupakan sebuah gabungan badan-badan politik kiri Melayu yang ditubuhkan pada 22 Februari 1947, dianggotai oleh Parti Kebangsaan Melayu Malaya (PKMM), Angkatan Pemuda Insaf (API), Angkatan Wanita Sedar (AWAS), Barisan Tani Se-Malaya (BATAS), Gerakan Angkatan Muda (GERAM), Lembaga Persatuan Melayu Johor, serta lain-lain persatuan-persatuan yang kecil. PUTERA-AMCJA telah berjaya menggabungkan semua badan-badan politik yang terdapat di Malaya kecuali United Malays National Organisation (UMNO) dan Communist Party of Malaya (CPM), dalam satu barisan popular rakyat untuk membantah Perlembagaan Federation yang digubal oleh Kerajaan Kolonial British bagi menggantikan Malayan Union. Mereka membantah Perlembagaan Federation yang dianggap sebagai tidak demokratik kerana Perlembagaan tersebut telah dirangka melalui rundingan sulit antara Kerajaan Kolonial dengan golongan bangsawan Melayu dan mengetepikan pendapat dan kehendak rakyat jelata Malaya yang mahukan demokrasi dan hak berkerajaan sendiri. Mereka mengecam tindakan Kerajaan Kolonial yang hanya berunding dengan satu pihak itu sebagai taktik ‘pecah dan perintah’ untuk memecah-belahkan perpaduan rakyat. PUTERA-AMCJA telah mengemukakan bantahannya melalui rapat-rapat umum di seluruh Malaya. Dalam setiap perhimpunan yang dihadiri ribuan rakyat pelbagai kaum, pemimpin-pemimpin PUTERA-AMCJA seperti Tan Cheng Lock, Ishak Haji Muhammad, John Thivy, Philip Hoalim Sr., Dr. Burhanuddin Helmy, Gerald de Cruz, Ahmad Boestamam, K. Ganapathy dan Shamsiah Fakeh telah menyampaikan pidato-pidato yang menerangkan kepentingan untuk rakyat segala bangsa bersatu menentang Perlembagaan Federation dan menyokong perjuangan PUTERA-AMCJA. PUTERA-AMCJA turut menganjurkan mesyuarat-mesyuarat massa di seluruh Malaya untuk meluluskan resolusi-resolusi membantah Perlembagaan Federation. Beratus-ratus telegram dan surat-surat bantahan telah dihantar kepada Kerajaan Kolonial British. Tetapi segala bantahan ini langsung tidak dipedulikan oleh British. PUTERA-AMCJA menyedari bahawa satu program yang lebih tegas dan progresif perlu dicipta untuk memenangi sokongan massa rakyat yang lebih luas. Mulai bulan Mei 1947, PUTERA-AMCJA mula merangka sebuah perlembagaan alternatif bagi menyaingi Perlembagaan Federation. Pada 10 Ogos 1947, Perlembagaan Rakyat telah siap disusun dengan mengambil kira pendapat dan aspirasi pelbagai kelompok dalam perikatan PUTERA-AMCJA. Perlembagaan Rakyat merupakan sebuah dokumen komprehensif yang merangkumi peruntukan untuk sebuah sistem kerajaan yang demokratik ke arah pembentukan sebuah kebangsaan dan negara-bangsa baru yang merdeka. Pada 21 September 1947, Perlembagaan Rakyat telah dipersembahkan buat pertama kalinya di hadapan lebih 20,000 rakyat yang berhimpun dalam rapat umum di Farrer Park, Singapura. Dari situ bermulalah kempen kebangsaan PUTERA-AMCJA untuk menjelaskan isi kandungan Perlembagaan Rakyat kepada seluruh rakyat Malaya. Perjumpaan, rapat-rapat umum, dan demonstrasi telah diadakan di merata tempat untuk mendapatkan sokongan rakyat. Perlembagaan Rakyat telah diterbitkan dalam 4 bahasa dan disebarkan ke seluruh Malaya. Salinan Perlembagaan Rakyat juga telah dihantar kepada Kerajaan Malayan Union, Perdana Menteri Great Britain dan Colonial Office di London. Tetapi sekali lagi, pihak British terus tidak mengindahkan PUTERA-AMCJA, enggan dibawa berbincang, dan menolak segala cadangan yang terkandung di dalam Perlembagaan Rakyat. Mulai 7 Oktober 1947, bermulalah kempen propaganda PUTERA-AMCJA untuk menjayakan Hartal Se-Malaya bagi membuktikan pada Kerajaan Kolonial British sokongan padu massa rakyat dibelakangnya. ‘Panduan Hartal’, yang menerangkan langkah-langkah untuk menjalankan dan menjayakan Hartal dan ‘12 Slogan Hartal’ telah dihantar kepada media, kepada semua badan-badan yang bergabung dalam PUTERA-AMCJA dan kepada 30 pusat-pusat gerakan PUTERA-AMCJA di seluruh Malaya untuk diterjemah dan disebarkan kepada rakyat. ’Jawatankuasa Hartal’ telah disusun di setiap negeri untuk menyelaras dan merancang aktiviti-aktiviti propaganda untuk Hartal. Lebih 300 ‘Propaganda Corps’ turut dibentuk untuk menjelajah ke setiap pekan, daerah dan kampung untuk menampal poster-poster serta menyebar risalah-risalah menerangkan tujuan tindakan Hartal dijalankan. Maka, pada 20 Oktober 1947, bermula dari jam 6 pagi, seluruh Malaya telah berhartal. Peniaga tidak membuka kedai, buruh tidak turun ke lombong, pekerja tidak pergi ke kilang dan pelabuhan, penoreh tidak keluar menoreh, petani tidak turun ke bendang, nelayan tidak turun ke laut, suri rumah tidak turun ke pasar, pemuda-pemudi tidak turun ke taman-taman hiburan. Hanya pejabat Kerajaan Kolonial, syarikat perniagaan Eropah, dan beberapa kedai-kedai sahaja yang berjalan seperti biasa. Kerajaan Kolonial British telah dianggarkan menanggung kerugian sebanyak 4 juta pound sterling akibat dari mogok Hartal itu. Walaupun Hartal telah berjaya dijalankan dengan cemerlang, tetapi ia gagal mengubah dasar British dalam soal perlembagaan. Kerajaan Kolonial British menolak bulat-bulat Perlembagaan Rakyat dan terus komited pada perjanjiannya dengan golongan bangsawan Melayu dan mempertahankan Perlembagaan Federation. Pada 1 Februari 1948, Perlembagaan Federation telah diguna-pakai dalam Federation of Malaya yang menggantikan Malayan Union. Bagi memadamkan bantahan PUTERA-AMCJA terhadap Federation of Malaya dan tututan kemerdekaan mereka yang semakin lantang, Kerajaan Kolonial British telah mengisytiharkan undang-undang Darurat pada 18 Jun 1948. Beribu-ribu pemimpin dan anggota PUTERA-AMCJA telah ditangkap. Ramai yang merengkok bertahun-tahun dalam tahanan dan ramai juga yang dibuang negeri. Kebanyakan badan-badan politik dalam PUTERA-AMCJA telah diharamkan atau dibubarkan. Detik ini merupakan titik-tolak yang menandakan permulaan dan penghabisan perjuangan berperlembagaan golongan kiri dalam memperjuangkan kemerdekaan untuk Malaya. The PMCJA is the expression of a movement which has been developing for the last 20 years and of which Mr. Tan Cheng Lock has been the pioneer. Colonial imperialist policy has ever relied on the truth of the slogan “Divide and Rule.” The recent history of India shows that this method of ruling though effective from the point of view of the rulers has the result of stirring up among the ruled such animosities and jealousies that they are prevented from effective self-government. This only serves, of course, to emphasise the value of the “Divide and Rule” policy, as far as the ruling power is concerned; it facilitates control over colonies or “protected territories,” and renders them impotent when the movement for self-government is on the brink of success. However, it is possible for the ruled, as well as rulers, to learn by their mistakes. The history of Malaya shows surprising similarity in certain respects; even today, the “Constitutional Proposals” drafted by the Working Committee have a strong family resemblance to the constitution of some Indian States. During the war, the people of Malaya have awakened with a start to the realisation that they are one of the few groups of people left in the world who have not achieved even a semblance of representative self-government. A war on the scale of this last war cannot but force even the least politically advanced people to question themselves as to the relevant issues. Allied propaganda was to the effect that the war was a fight for freedom and democracy and the Atlantic Charter put such sentiments down on paper. Malaya suffered in that struggle for democracy and, by direct contact with the Fascist enemy, came to realise by personal experience, the relevant issues. This fact hastened immeasurably the progress of the realization of the necessity for the creation of a nation in Malaya, in which the deliberate encouragement of division and separation between the racial groups in Malaya had no part, and in which, on the contrary, those racial groups could co-operate in the peace, security and prosperity of Malaya. This necessity was realised outside Malaya, and Mr. Tan Cheng Lock’s work in India contributed to this realisation. A result of this realisation was the Union scheme, which, however, failed adequately to consider the special position of the Malays. In spite of a long period of the so-called “pro-Malay policy” of Malayan Governments, the Malay people as a whole have reaped little benefit from such a policy, which has relied to a greater extent on words than on deeds. The Malay people are now coming to an understanding of the lack of value of such a policy on the part of a non-democratic government, and of the greater value of such a policy on the part of a democratic movement, in which all racial groups joined hands in tackling the primary task of democracy in Malaya – the betterment and stabilisation of the economic and educational position of the Malays. A programme of equality “for all who make Malaya the object of their undivided loyalty” must be based on this fundamental consideration – that political equality is unreal unless there is economic and educational equality. This is only common-sense: a programme of equality does not presuppose equality, it aims at equality; it aims at special effort to push forward those whose educational and economic position is weak, in order to make the political equality a reality. This consideration is, however, taken as an excuse by those who seek to delay the setting-up of democratic institutions, who claim that the political equality must await the economic and educational equality. That this claim is made by those who possess vested interests in Malaya, can only arouse the suspicion on the part of the people that the claim is based on self-interest rather than on an objective view of the best interests of the people. Here again the recent history of India has shown that a controlling-power has at its finger-tips a variety of reasons why that control should not be relinquished, and that those reasons are revealed in practice to be no more than excuses. The educational and economic equality of the people as a whole can, in fact, only be undertaken by the people as a whole themselves since it is to the definite disadvantage of the people as a whole to retard the progress of their less fortunate elements. The economic and educational advancement of the Malay population can best be achieved by the co-operation of all races in Malaya, working together for the mutual benefit through democratic institutions. It is not a question of running before learning to walk; democracy is not a privilege, exclusively reserved for ‘advanced” races with white skins; it is a right. To say that a group of people are “not yet ready for self-government” is to say that there are other groups of people who are not only ready for self-government but are ready for the government of other groups. This arrogant claim would not be open to the accusation of self-interest if colonies were not a profitable concern; the fact that they are a profitable concern renders this claim very open to the challenge of self-interest. (c) Equal citizenship rights for all who make Malaya their home and the object of their undivided loyalty. The first act of the PMCJA was to oppose the undemocratic and secret methods by which the new proposals were drawn up. After the publication of the proposals, it was realised, with the best will in the world, they could not be accepted, since they were based on principles which were fundamentally unsound. All elections were refused, an artificial and valueless citizenship created, and the official majority continued to exist (although some of the officials were to assume disguise); the Malay Rulers were again required “to undertake to accept the advice of the High Commissioner,” a requirement which rendered hollow the British claim that the Malay Rulers were to be sovereign (though constitutional) monarchs. The PMCJA therefore had no alternative but to reject the proposals, and special emphasis was laid on the unreality of the claim that the interests of the Malays had been protected. It was pointed out that the interests of the masses of the Malays had been over-looked. With the setting-up of the Consultative Committee, it began to be very clear that the proposals, as they stood, were to be protected from any organized and powerful criticism, by the use of divisionist and separatist machinery. Such machinery has been tried in India and has been found to be successful in this function. 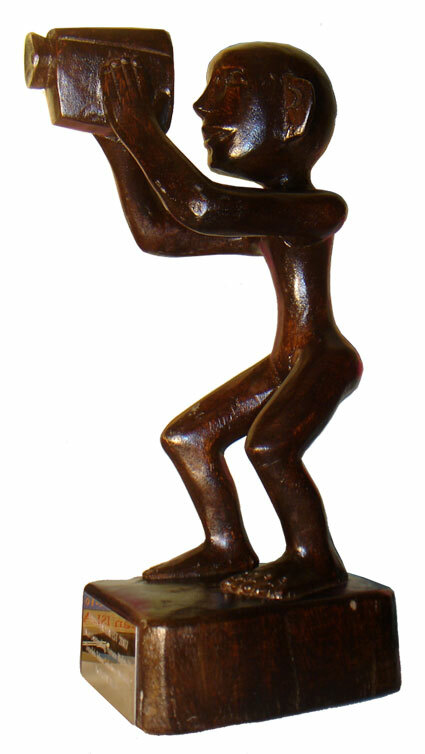 The PMCJA was therefore resolved to boycott the Consultative Committee, as being composed of nominated individuals with no right or claim to act as the mouthpiece of the people, and as being designed to render impotent the criticism offered, by by-passing the opposition of the PMCJA, the unified expression of the opinions of the people. The PMCJA will continue its opposition to attempts to split the unity of the people, to deny to them their right to co-operate in the building of the future constitution of Malaya. The PMCJA stands for the unity of all races in Malaya, a unity based on the real equality of opportunity which requires a special consideration for the position of the Malays. A year ago the Malayan Democratic Union came into being with the aim of creating a Malayan political party to work for representative self-government in Malaya. Because it admitted into its ranks Malayans of all types, it was suspected of leftist tendencies as it had among its members many who belonged to the Communist Party. The party was not taken seriously in Singapore but in the Malayan Union it soon a gained large number of adherents. The MDU has got out to crystallise the idea that lies in the minds of all true Malayans – identification with the country. The Malayan citizenship question has thrown into bold relief the main purpose of the MDU, which has now felt it time to go into action. Accordingly it has sponsored a Council of Joint Action to fight Federation proposals which have been drawn up without consultation with the domiciled communities. The communal trouble that occurred in certain parts of the Union some months back were looked upon by some as inspired by those who wished to divide the country into communal units, and alienate them from the idea of a union of all Malayan peoples. So much political thunder was stolen by the UMNO six months ago that the Malay Nationalist Party which seceded from it, has not come into great prominence. The MNP has, however, weaned away from UMNO a large number of the latter’s followers partly because of Dato’ Onn’s appointment as Dato Mentri Besar, Johore, but largely because the authorities ignored the Malay masses when the Federation proposals were being drawn up. There has been sufficient feeling among the Malay peasants against the perpetuation of the privileges enjoyed by the Sultans and the Malay aristocracy that some of them have toyed with the idea of forming a third party – the Malay Communist Party. Their contention is that the Sultans and the datohs have done nothing to better their lot. The M.N.P. is more realistic in that it realizes the necessity of co-operating with the domiciled communities, whom the UMNO on the other hand regards as interlopers out to dominate the country. The UMNO is entitled, of course, to its policy, but to say the least it is a matter of opinion whether it can in fact lay claim to be fully representative, or whether its policy is designed to bring together not only the Malays but the non-Malay domiciled communities whose interest in the future constitution of Malaya and in its advance towards self-government is not less than that of the Malays. Everything that has happened in the past few months has emphasised not merely the desirability but the necessity of all the communities reaching a common viewpoint on these immense matters of common interest. That is the principle behind the Committee of Joint Action formed not alone in Singapore, but in the Union. The whole question is one of Pan-Malayan interest, and of inter-community responsibility, and to think along any other lines is to wander along jungle trails that lead nowhere. KITA, ORANG MELAYU HARI INI! Dengan chogan kata di atas kita memperingatkan kepada semua kaum Melayu supaya jangan tertipu terperlemah dan terperangkap oleh pehak yang hendak menggunakan diri kita faedah mereka. Dari mula dunia terkembang, orang Melayu telah berserah tonggang nasib-nya hitam puteh kepada tangan Y.M.M. dan Y. berhormat dan akhir-nya nasib orang Melayu jatoh sejatoh-jatohnya dan menerima menjadi Nasib Kaum Terjajah yang lemah sekali di dalam dunia ini, di-bawah Pemerintah Kerajaan Inggeris. Kejatohan Melayu ini dan kelemahan Melayu ini salah-nya terpulang kepada Penganjor Melayu yang sudah-sudah ia-itu yang tergamak menjual-kan Tanah Ayer Melayu dan menukar-kan nyawa Melayu kepada wang dan kesenangan mereka yang mana akhir-nya seperti yang kita nampak Orang Melayu jatoh melepek. Perang Dunia Kedua menyedar-kan kaum Melayu kembali dan kerana itu terbitlah perasaan “Kita Orang Melayu Hari Ini” yaani berhak bersuara, kerana menjaga dan membetol-kan masib kita di atas tanah ayer kita. Oleh itu U.M.N.O. (Pekembar) M.N.P. (Pekemam) bukanlah arti-nya dipunyai oleh ketua-ketua itu sendiri ialah dipunyai oleh orang ramai Melayu hari ini. Jadi dengan itu sewajib-nya apa-apa keputusan yang hendak dibawa oleh U.M.N.O. atau M.N.P. untok pengetahuan pemerintah atau diketengahkan kepada ramai mahulah dipersetuju-kan oleh orang Melayu ‘am. Jangan-lah terjadi seperti sekarang yang sudah terjadi ia itu: Malayan Union terjadi dengan pekerjaan Sultan-Sultan sendiri dan kemudian Malayan Union ditukar-kan kepada Federation dengan ranchangan Sultan2 dan Penganjor2 itu sendiri, di sini ada-kah bermaana orang Melayu hari ini puas hati dengan langkah asalkan Kaum Bangsawan-nya sahaja puas hati? Kita nampaknya tidak begitu! Orang Melayu tidak puas hati dengan apa yang telah dijalankan oleh Penganjor2-nya, kerana orang Melayu ramai yang dahulu-nya bersama menolak Malayan Union itu bukan meminta ditukar dengan Federation yang akan menjadikan orang Melayu di-pechah2kan oleh ber-Johor, ber-Perak, ber-Pahang dan lain2 ia-lah orang Melayu berkehendakkan Malaya bagi orang Melayu yang tujuan-nya membetolkan dan membaik-kan nasib orang Melayu dalam semua perengkat dan dalam serba serbi. Sebab itu kita sudah nampak bayang2-nya orang Melayu tidak puas hati kepada penganjor2-nya yang chuba membelakang-kan muslihat orang Melayu ramai. Dalam sementara itu kita harap orang Melayu hari ini berdiri-lah sebagai orang Melayu yang tidak redza nasib-nya di-perjudi-kan oleh Penganjor2 nya kerana keuntongan pada lain pehak, tetapi orang Melayu sendiri akan tergadai dan terima hidup melarat. RA’YAT JELATA MELAYU JANGAN DI-BODOHKAN TERUS! Soal Malayan Union sudah dapat dirobohkan oleh Orang Melayu Am apabila mereka ketahui Sultan2 Tanah Melayu menjualkan Kemerdahekaan Negeri Melayu kapada Kerajaan Inggeris dengan tidak berondeng dan tidak setahu Rakyat Jelata Melayu… dan kemudian orang Melayu dapat menebusnya samula. Tetapi malang Tanah Melayu yang baharu ditebus oleh Rakyat Jelata itu telah hendak dimasokkan samula ka dalam lukah Inggeris oleh Raja2 Melayu dan Penganjor2 yang memikirkan dirinya telah penoh berkuasa diatas Rakyat Jelata, dan pekerjaan nya ini juga dengan tidak berondeng dengan Rakyat Jelata dan telah pandai2 berondeng dengan Kerajaan Inggeris meranchangkan pula PERSAKUTUAN NEGERI MELAYU, konon! Apabila chadangan Persakutuan Negeri2 Melayu didzahirkan kepada pengetahuan ramai, Rakyat Jelata Melayu telah sama membantah tidak bersetuju dengan ranchangan itu kerana chadangan itu tidak berondeng dengan Rakyat Jelata dan chadangan dalam Perlembagaan baharu itu tidak berdasar Democratic! Chadangan itu tetap tidak mementingkan nasib Ra’yat Melayu Jelata, chadangan itu hanya untok faedah Raja2 Melayu dan Orang Besar2nya sahaja. Bertambah malang nasib orang Melayu Jelata, apabila mereka bersuara membantah chadangan Perlembagaan baharu itu lalu mereka ditudoh dan dichap Menderhaka oleh Raja2 Melayu dan orang2 Besar serta Penganjor2nya yang hendak menipu rakyat Jelata. Pehak Kenchana tetap berdiri disisi Rakyat Melayu Jelata dan mempertahankan Kedaulatan Rakyat, dengan sebab itu bersama2 dengan Rakyat Melayu Jelata membantah chadangan Perlembagaan baharu Malaya itu tidak sah karena ranchangan itu hanya diperbuat oleh 12 orang yang dilantek oleh Kerajaan Inggeris, bukan dari Rakyat Jelata ya’ni tidak berdasarkan Kedaulatan Rakyat. Kerajaan Inggeris, Raja2 Melayu dan orang2 Besar Melayu patut mesti sedar, yang Rakyat Jelata Melayu masa ini bukan boleh disamakan seperti masa sabelum perang yang baharu lepas ini atau saperti orang Melayu zaman dahulu kala hanya menyerahkan nasibnya dan jiwa raganya kapada Raja2nya, atau kapada orang Besarnya, orang Melayu hari ini telah sedar dan mengerti tanggongan mereka kaatas Tanah Ayernya dan Bangsa nya, mereka tidak redza nasib mareka diperjudikan oleh Rajanya atau oleh Penganjornya kerana kepentingan diri Raja2 dan Penganjor2 itu, mereka berkehendakkan kemuliaan hidup dan Kemerdahekaan Bangsa dan Tanah Ayernya. Sebab itu disini Kenchana berseru dan menchadangkan kapada Kerajaan Inggeris dan Raja2 Melayu serta Penganjor2 Melayu iaitu berhubong dengan pemerentah Malaya yang akan datang mestilah memakai Kedaulatan Rakyat yang sebenar, serta chorak pemerentahan yang hendak diadakan itu mestilah berundeng dan dapat persatujuan dari Rakyat Melayu Jelata, bukan hanya dengan Raja2 dan orang Besar2 Melayu yang hanya mementingkan diri mereka sahaja. Disini juga Kenchana memperingatkan kapada saudara2 sebangsa dan satanah ayer supaya lebeh ingat dan berjaga2 kena pelemah dari Kerajaan dan bangsa2 dagang yang hendak masokkan kita kedalam perangkap mereka, orang Melayu mesti sedar iaitu orang Melayu boleh merdaheka dan layak merdaheka saperti bangsa yang merdaheka dalam dunia ini. Lagi Kenchana memperingatkan yang bangsa kita terjajah beratus tahun lamanya, dan kita telah berserah bulat nasib kita katangan Raja2 dan orang Besar2 dan akhirnya hingga hari ini kita telah nampak terang yang nasib bangsa Melayu amat burok iaitu: bodoh, miskin, melarat dan terhempet, kalah dalam segala perjuangan, maka semuanya ini kerana hanya kita perchaya dan ta’at kepada KETUA2 kita yang tidak mengindahkan nasib bangsanya, sebab itu bangkitan kita pada kali ini mestilah disusun dengan rapat dan rapi supaya jangan dapat lagi diperjudikan oleh Pengkhianat Bangsa dan Tanah Ayer yang bertopengkan pura2 menjadi PENYELAMAT BANGSA. Pahlawan Malaya yang gagah perkasa. Ta’kan Melayu hilang di dunia. Jangan lah lagi duduk ngalamun! Chobalah lihat kiri dan kanan! Kongres Melayu Se-Malaya yang kedua berlangsung di Istana Besar Johor Bahru. United Malays National Organisation (UMNO) atau Pertubuhan Kebangsaan melayu bersatu (Pekembar) dirasmikan. Dato’ Onn dilantik sebagai Yang Dipertua. Gambar ini di ambil di tepi belukar di sebuah kampung, di Sitiawan dalam negeri Perak dalam tahun 1946.